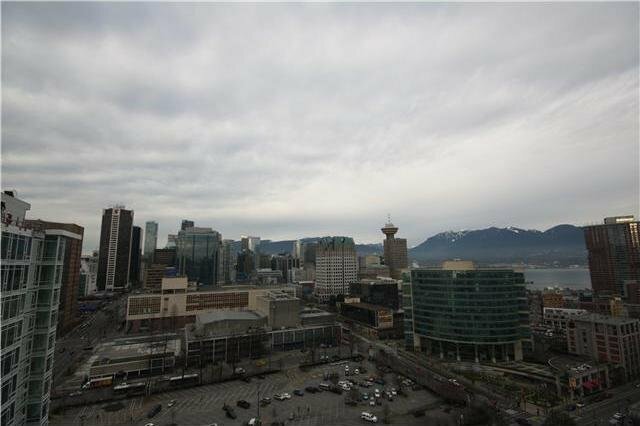 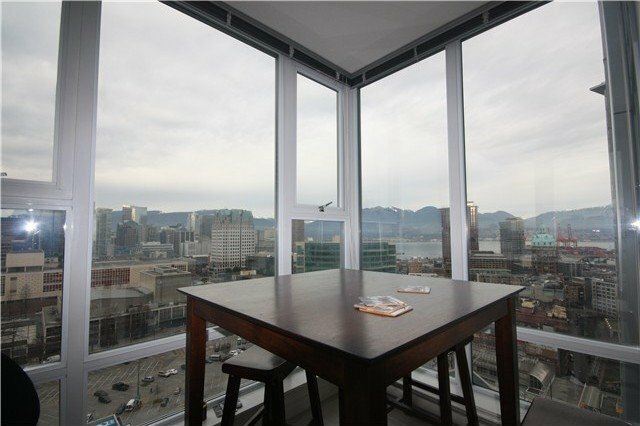 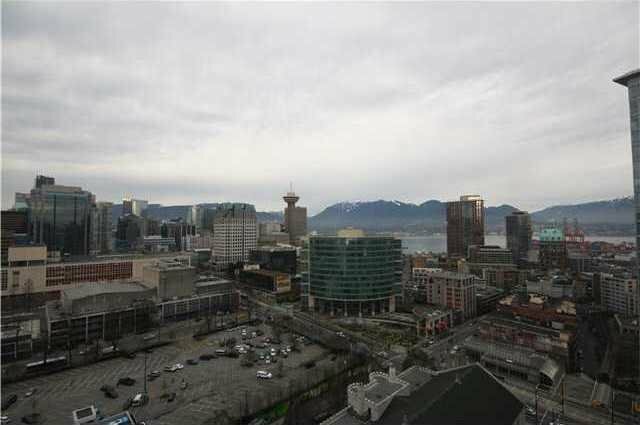 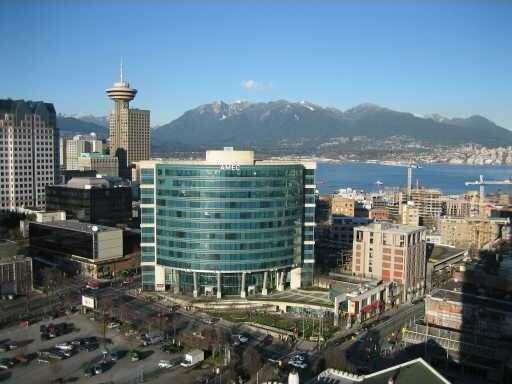 SPECTRUM 2, trendy (NW) 2-bedroom + den corner suite home with expansive views of the city, water and mountains. 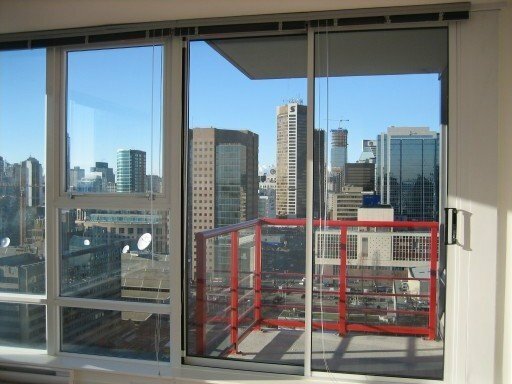 Home is complimented with floor-to-ceiling windows, open kitchen with breakfast bar, 2 full sized baths, wood flooring, insuite storage, huge den perfect for a library or office and lots of natural sunlight and breeze from your balcony. 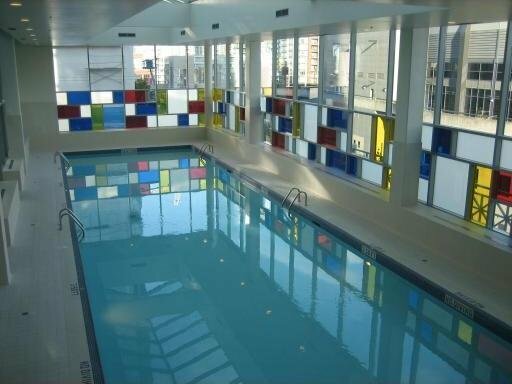 Enjoy recreational facilities including indoor pool, gym, sauna, rec room, 24-hours concierge and 1 parking included. 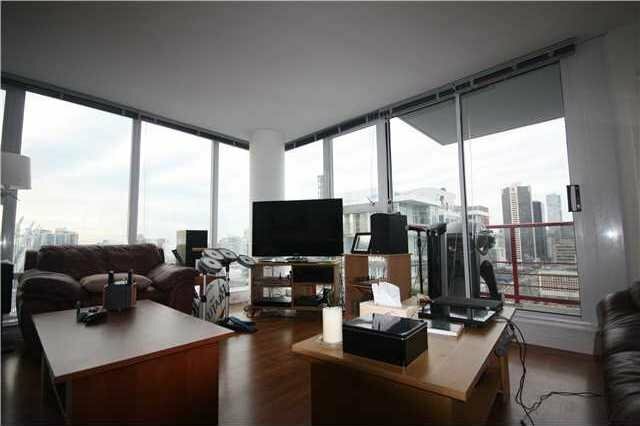 Within walking steps to Costco, Rogers Arena, T&T, cafes, Downtown, seawall and more! 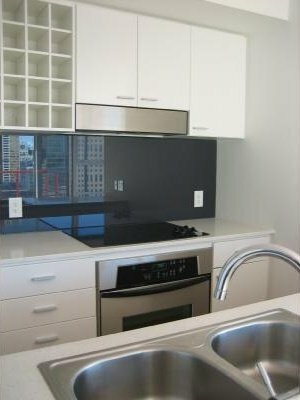 Tenanted, 24-hours notice to show.